Hi, I'm back with my Synfire tests to be sure I somewhat grasped a decent workflow. 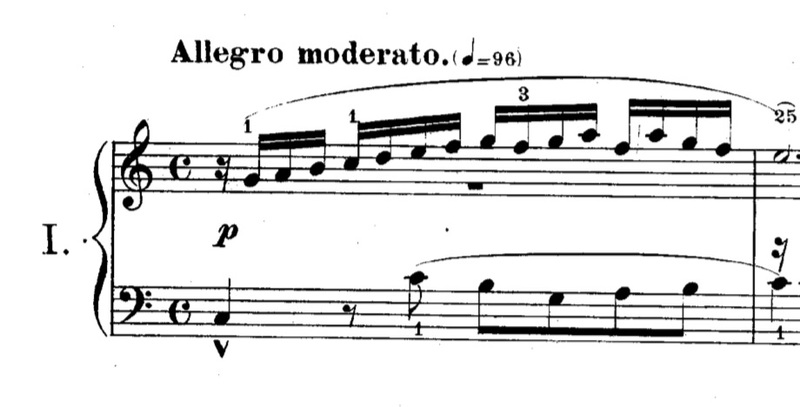 This time I grabbed only one measure from Bach's Three Voices Invention no. 1 in C and vandalized it into the Pool Editor of a freshly created library. The initial two-voices motive has been reversed and flipped in five or six different ways e thrown into a simple chordal progression without a specific plan in mind. I have attached to this post the related files, should anyone be interested in listeing to the result. As I already stated, this is a great software. Are you running out of space on your server? This is a known bug. We are trying to fix it for days. No luck yet. We will keep trying. Thanks for sharing this nice snippet. I've uploaded an MP3 (attached). I'm working on containers, in these days: I need to grasp the underlying "philosophy" of Synfire, because I realized it seems to be somewhat analogue to the OOP, object programming, with movable "macros" made of sounds rather than of source code. I guess your aim when programming Synfire was to follow the mental workflow of a composer, rather than simply record-and-play some more or less improvised midi sequences like in a Midi/DAW software like Cubase, Logic etc. Nice example. I will have a look at the project Files later. Here is another version om my counterpoint. I tried to re-assemble the piece using containers as much as I could. When you get a little bit of confidence with the containers' logic, it's pretty fun; but I'm not yet done. To be honest, I feel that I have just scratched the surface. At bar 3, first beat, I choose a C bebop-minor vertical scale to add some chromaticism which enhances the right hand flowing. The scale selection menu on the right is a powerful tool which quite often alters dramatically the meaning of whole passages. Try it! I'm aware that I could have done it in a single container. The deafult container alone would have been perfectly suitable. But I assigned each voice to its own container to make practice. Furthermore, moving the blocks along the timeline, even randomly, can lead you to unpredictabile and not rarely good-sounding results. Sometimes, letting Synfire going where he wants to go is a source of fresh ideas. I realized it seems to be somewhat analogue to the OOP, object programming, with movable "macros" made of sounds rather than of source code. Absolutely! This movable marco thing is what containers are built for. Yes. Synfire is a top-down oriented platform, that is, a structure is built from the top down to the details. One of the big time-saver features I appreciate in Synfire is its ability to connect the segments in logical, good sounding and good flowing lines. One has to move up and down, flip or rotate the segments or choose a different scale here and there; but with a bit of patience -and let's say it, lots of fun-, the musical equation could be solved in minutes. I took the final chord (Container C) and copied/pasted/shortened it here and there just for fun. Andre, could you please implement a global marker track in a future release? 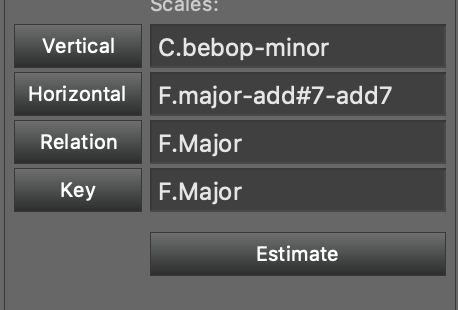 I would take into account, also, the option of adding something similar to the Scratchpad of StudioOne or the Project Alternatives menu of Logic Pro. The more tools/views you can fit in a single window, the easiset will be working in Synfire, IMO. Wow. This is getting better by the day. Thanks for sharing your experiments with us!